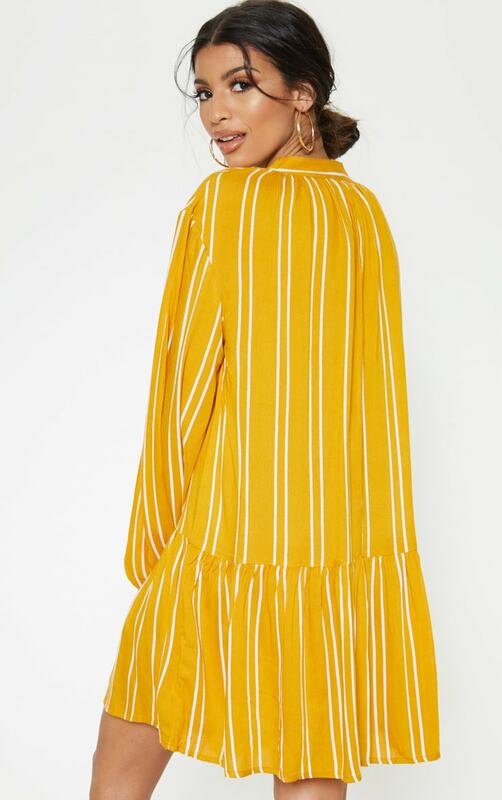 This dress is perfect for the new season. 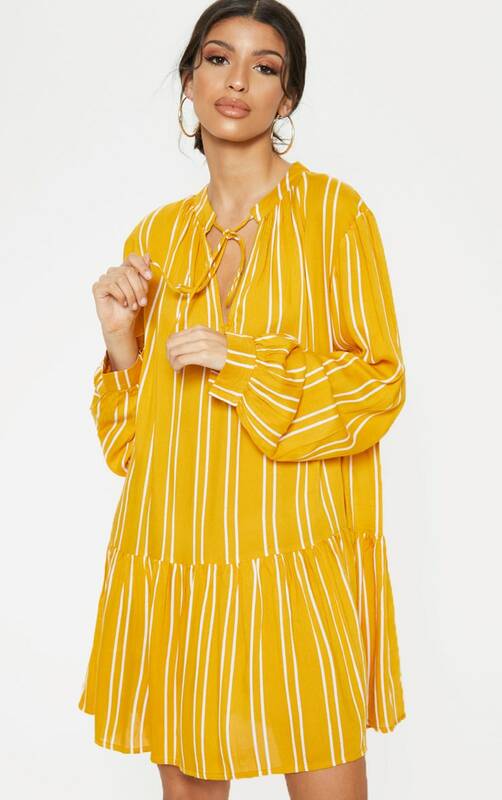 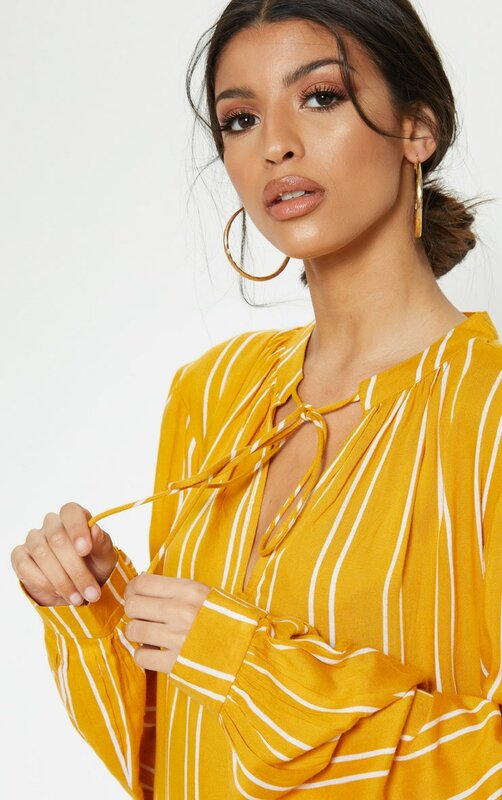 Featuring a mustard material with a contrasting stripe, a frill hem, a tie neck detail and a loose fit. 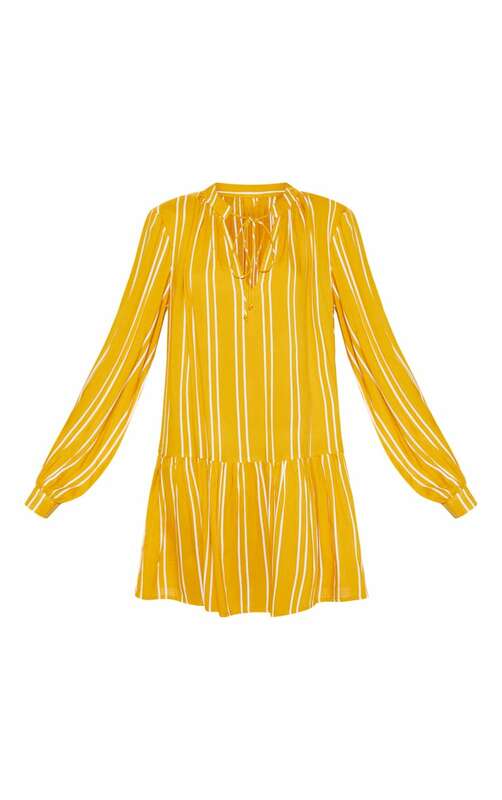 Team this with sandals and a cross body bag for a look we are loving.